Father's Day is coming up, are you ready for it? What does dad want for Father's Day? Well, fun facts, of course! 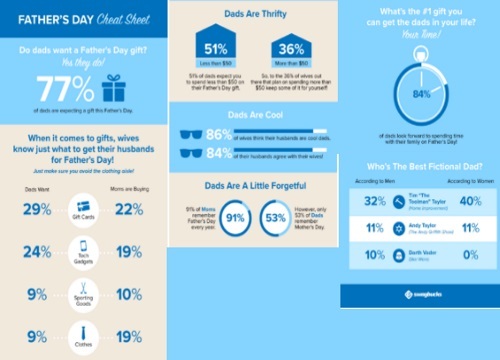 Check out these cool facts from a survey of moms and dads, and then swing by Swagbucks to pick out your gift from his favorite stores! Click here to join Swagbucks if you haven't yet, it's my favourite online rewards program. I redeem free Paypal money every month just by using this website.